Nutritionists, doctors, and most parents attest that breakfast is a critical meal for the day. This is because it influences how one performs physically and mentally throughout the day. Thus, in our household, I always make sure that my boys are well fed before leaving the house. With the demands at school and at work, my family needs the energy and nutrients to keep them going. There are still times that I would miss the alarm clock and rush to prepare everything with the little time left for me. But most of the time, I may say I am able to survive and provide the needed nutrients my family needs. Allow me to share with you how I am able to manage morning madness. With the daily commitments we all need to meet, I make it a point that I will remain sane if all else fails. If I give in to the daily challenges, my family will certainly be hungry and the house will be in chaos. This mother believes that it is the homemaker that sets the tone in the morning. If her morning is stressed out and disorganized even, her children and spouse would pick up on that, too. But if she models a positive tone, the whole household will reflect the happy vibes as well. It is prudent then to start the day focused and positive. Meal is important. Usually, in our household, I spend most of my time in the kitchen preparing food for the boys. Because meal preparation takes a lot of my time – from grocery and market to cooking – I plan our meal for the week. I usually do the market weekly so before heading to the market, I have my proposed dishes to cook. I then display a print out of our one-week meal schedule by the fridge door for everyone to see. If I do not feel like cooking at night, I prepare everything I need for my morning cooking. I pull the meat out of the freezer to defrost it then prepare all the ingredients I will be needing for tomorrow. Usually, though, I cook at night when the house is quiet and the boys are all tucked in bed. Then in the morning, I just reheat the food. I even prepare sandwiches for their school recess the night before. To seal in all the flavor, I just wrap the sandwich tightly in a plastic wrap or tin foil then put it inside a plastic container before refrigerating. The bread may soften a little but the flavor and even the aroma are still there. It has been a common practice that before the boys head to bed each night, they must have prepared their school uniform for the next morning. I told them to lay everything in order, including their school ID. Their school bags and shoes are all by the front door. Because the boys are responsible students, I allow them to watch television shows at night. They have to be in bed by 9 pm, though. They can only play with their mobile phones during weekends. These rules help them be in bed with less struggle and problem. There are times, though, that we may sleep badly the night before, causing us to be difficult to wake up the next morning. The key here then is to be flexible. In our household, we always have a backup plan. If I am unwell or unable to prepare food, we always have a healthy yet easy to prepare breakfast. Sometimes, we need not prepare it; the boys can have it on the go. They can have it with fruits, yogurt, and hot chocolate. Or they can always have it as is. For a convenient and delicious morning, my boys sometimes have belVita Breakfast Biscuits. These biscuits are specially designed to help meet the morning energy needs of my boys and keep up with their fast-paced lifestyles. 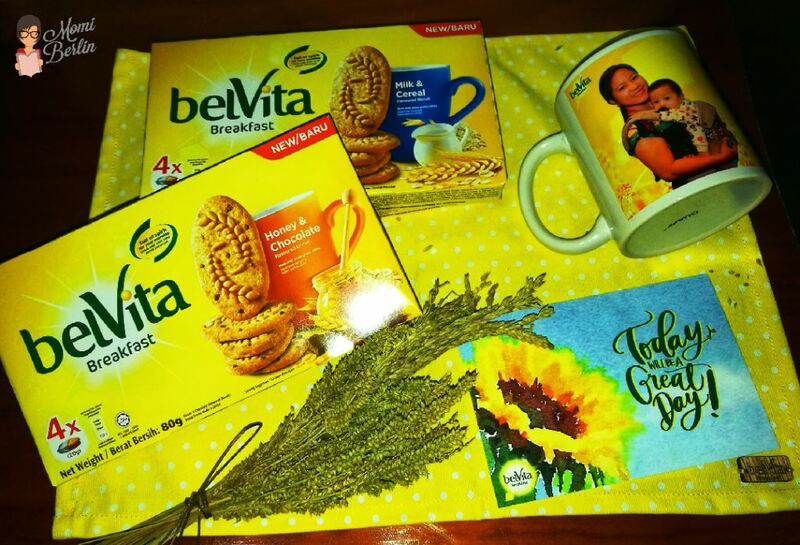 belVita is the first ever breakfast biscuit from Mondelez Philippines. It has been the goal of the company to address the growing needs for convenient and delicious well-being snacks. And in this fast-paced world we have, we are often left challenged by the lack of time to prepare and eat a balanced breakfast. This has been supported by the Philippines’ adult energy and nutrient intakes study published in the Federation of American Societies for Experimental Biology Journal in 2013. The study says that one out of five adults in the Philippines tend to skip breakfast. The Food and Nutrition Research Institute likewise had a dietary survey last 2013 and it shows that only 31.5% of households in urban areas are able to meet their energy requirements for the day. And in the National Capital Region, one in 10 or 13% of households consume their breakfast outside their homes. We love that belVita is specially designed for breakfast. I just need to pair it with a cup of warm milk and a few slices of fruits and my boys already have a balanced breakfast to kick-start their morning with energy. They also have a few packs as they attend school so they can have a bite whenever they feel a little hungry. Checking the label, belVita is made with whole wheat and oat. It is also fortified with Vitamin A, B1, B2, B3, and D, and calcium, iron, and zinc. Plus, we’ve learned that the nutrition quality of its cereal ingredients is preserved because each biscuit is baked using a special gentle baking process. My boys both love belVita’s Milk and Cereal flavor and Honey and Chocolate. They love them with fruits on top. If you like to try them too, a four-piece box is at P30.50 only while a single 20g pack with two pieces is at P8.25 only. They are available in all supermarkets and groceries nationwide. How do you reheat the food? I want to cook for the entire week but I never wanted a microwave oven (and I still don’t have one) so my problem is reheating. I’m super lucky hubby is not demanding me to wake up in the morning to cook him breakfast. We just need to have a stock of biscuits, bread etc for him to pair with his coffee. 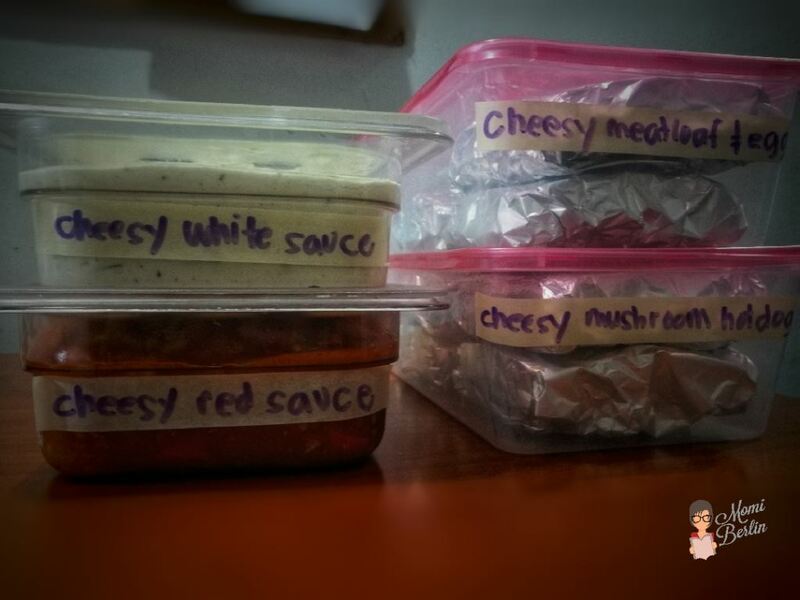 It’s a great idea to prepare the baon the night before. At least you don’t have to wake up super early to cook. Anyway, I haven’t tried BelVita but it looks yummy and satisfying. Ang sarap i-pair sa coffee! Though my son is not yet studying, I’m glad that I was able to stumble through your post, ate. Ang hirap talaga pag nagccram ka everyday! BelVita sounds really good. I think I would try this. I haven’t heard the brand Belvita in a long time! I’m not sure if they’re in my local grocery stores. It sounds promising because there really are times when we don’t have time to eat breakfast anymore. I hope it doesn’t have a high sugar content. I’ve recently adopted my own personal variation of the one meal a day diet and it seems to make meal prep easier because I don’t have to think of various stages of the day. Wow, I always adore you for really taking care of your boys. You’re really responsible mother and hopefully, more mothers will get some inspirations from you. Anyway, having a healthy breakfast in the morning is really important, but being an adult and always in a hurry in the morning, I sometimes skip my breakfast. Therefore, I salute you for really managing your morning well enough. I haven’t heard about Belvita, I guess I should give it a try. Thank you so much for sharing this with us. Surviving another Monday really depends on your outlook in life. Some would hate yet some love it. These are really great things to inspire and motivate us to do better again. I began cooking my meals again and it truly feels great! Belvita looks yummy. I would love to try it. Great suggestions and I totally agree. The only way to ensure that the morning isn’t hectic is to be completely organized. Meal planning in our household is extremely important and this goes for dinner prep as well. Cooking the night before is something we do quite often and we feel that makes a huge difference to our week. Belvita seems to be a perfect choice as breakfast. I like how you discipline your children. It is best to teach them young. Some day they will be thankful to you for the good habits. Great tips that you’ve shared here.As mentioned in this post,I also plan everything in the night for a less stressful morning.During the time I was working full time,I had pre cooked meals such as boiled beans,peas etc in the freezer.That was easier for me to prepare a healthy breakfast.This biscuits sound a good breakfast suggestion.My kid loves biscuits than other food.I will check. I also cook more than what we can eat and place them on containers inside the fridge to be reheated. For sandwiches naman, my daughter loves grilled cheese but she prefers to prepare it herself kasi mas grilled sya gumawa than me. Prepare everything at night, I so agree with that! Gulo gulo na talaga pag morning. So even if super exhausted na at night, need talaga to prepare thibgs first. I am really not a morning person. 🙁 But I gotta be a mom so carry on. Great tips btw and masubukan nga yang belVita soon. 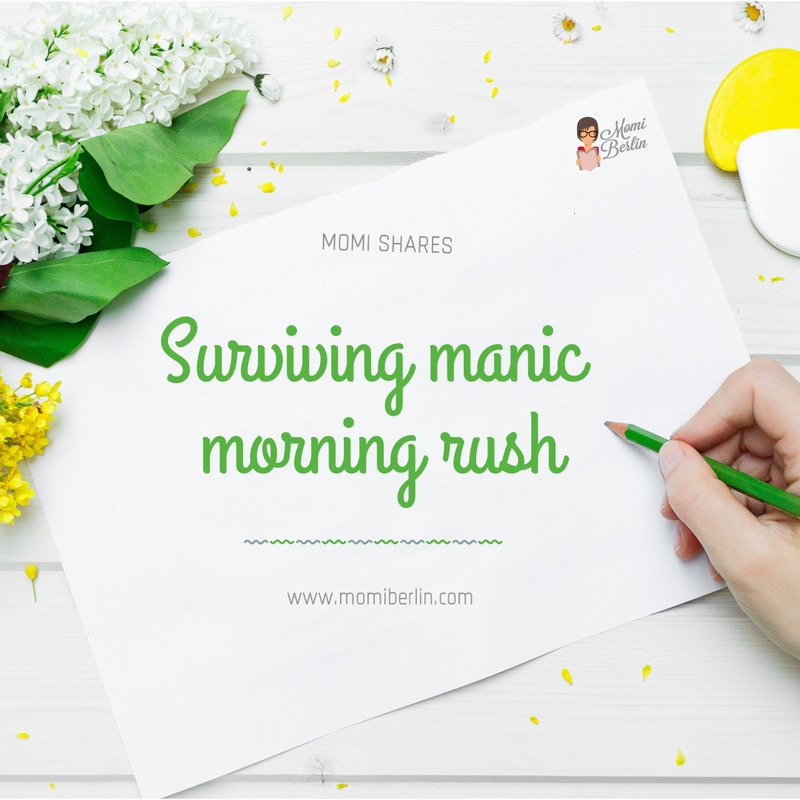 Thankfully, I no longer experience the usual morning rush at our house because my husband works at night and I’m homeschooling my son. My two daughters naman who go to regular school are only here on weekends or during vacations. But there are still definitely days when we need to go somewhere early in the morning or I just don’t have time to prepare an elaborate breakfast. Will check out Belvita soon! Bevita seems like a great brand. I am guilty of not eating breakfast in the morning. I somehow end up skipping it. It’s great that you are inculcating breakfast habits in your family. Ang mura, P30 per box, not bad. But I haven’t seen this pa in the grocery e.
Problema ko to lage kasi sa morning lage rush lalo na kapag may mga important appointments. Maganda talaga if may mga baon ka sa bag mu kaya magandang idea to. Pwedeng baunin at mura pa.
Good job in prepping the sauces ahead. Did that before and it’s so convenient!